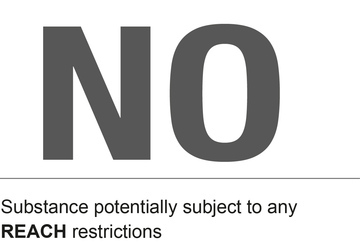 REACH is the regulation for Regulation, Evaluation and Authorisation of Chemicals in the European Union. Mipolam Symbioz is made of a 100% bio based plasticizer. This plasticizer is made of corn and wheat. Gerflor takes part in the green chemistry revolution, with the challenge to use more and more renewable bio based raw materials. “My product uses natural raw materials.” What does it mean ? Even fuel comes from nature and could be considered as natural… Whether my product is natural doesn’t necessarily mean the product is more environmentally friendly… Indeed, some natural products have a higher environmental impact than synthetic ones. Vinyl is one of the only building material which is 100% recyclable. Unlike other plastics, it can be endlessly recycled into new products and materials adding value throughout its long life. ALMOST 100% OF OUR POST MANUFACTURING WASTE IS RECYCLED AND INCORPORATED BACK INTO NEW PRODUCTION. 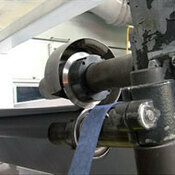 All our manufacturing plants can be regarded as recycling centers. 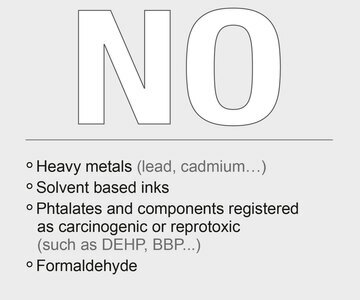 Much of this post manufacturing waste, but also some post installation waste are incorporated back into the product being manufactured but are also heavily used in the backings of new products. 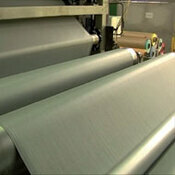 For decades, we have continuously increased the overall recycled content. 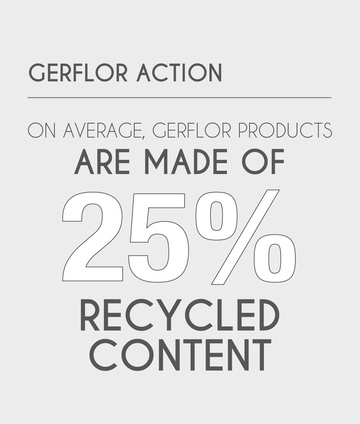 Today, the majority of our products contain from 20% to 100% recycled content. 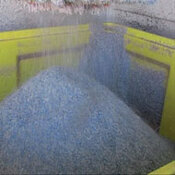 The recycled content varies between products, depending on colours and production process. 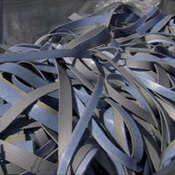 Using post manufacturing or post consumer waste is commonly done and recycled in many industries. But who cares about the quality of the recycled content that is put back into the production process?